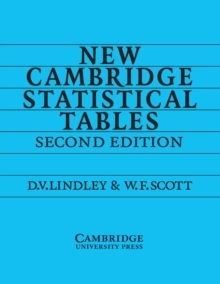 The second edition of this very successful and authoritative set of tables still benefits from clear typesetting, which makes the figures easy to read and use. It has, however, been improved by the addition of new tables that provide Bayesian confidence limits for the binomial and Poisson distributions, and for the square of the multiple correlation coefficient, which have not been previously available. The intervals are the shortest possible, consistent with the requirement on probability. Great care has been taken to ensure that it is clear just what is being tabulated and how the values may be used; the tables are generally capable of easy interpolation. 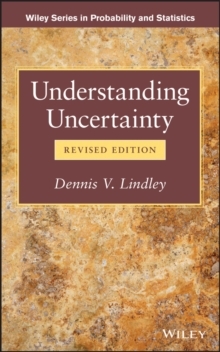 The book contains all the tables likely to be required for elementary statistical methods in the social, business and natural sciences. It will be an essential aid for teachers, researchers and students in those subjects where statistical analysis is not wholly carried out by computers.